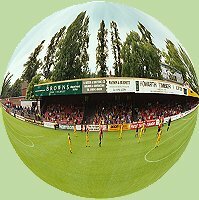 York City and Carlisle United were relegated from the Football League to the Nationwide Conference at the end of the 2003/04 season. Their places were taken by Chester City and Shrewsbury Town - 2003/04 Conference table and play-off results. York regained their place in the Football League for the start of the 2012/13 season when they won the Conference play-offs at the end of 2011/12 (2011/12 Conference table and play-off details). York City, along with Dagenham & Redbridge, were relegated from the Football League to the National League at the end of the 2015/16 season. Their places were taken by Cheltenham Town and Grimsby Town - 2015/16 National League table and play-off results.